No matter your job title, building relationships is in the description, and if you don’t think it is then you are mistaken. 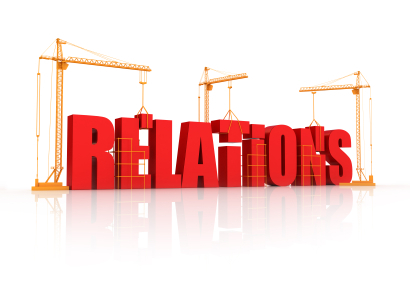 Developing business relationships should be part of your business development planning. Anywhere from 5-10% of your work week should be dedicated to building relationships and fostering business networking. If you’re used to being too busy and head down in your work or always eating lunch at your desk, it’s time to take a different view. Building relationship can easily be accomplished by meeting with one business professional a week for lunch or immediately after work for an hour. Setting up these “Power Hour” meetings once or twice a week for an hour will pay divides for your business growth. I adopted the idea that working on relationships was a part of my job and it has made me a better business person – it has been one of the smartest investments that I’ve made. These connections have developed into long-term business referral sources that have year after year helped grow my business. For those of you that are Gains Through Giving members, make sure that you are setting up on a weekly basis Power Hour meetings with your local marketplace referral partners. This are the relationships that I am referring to that have lead to more deals and more business year after year!